Hello Lovelies~! It's been such a hectic and busy few days for me :( Been feeling extremely tired everyday and have had basically no time at home to just relax and take care of myself. Started a brand new job in the cbd, making me commute for 2 hours a day. Starting out is always tiring, all the things to learn and set up and just get used to the work lifestyle. Also have been busy with various events such as birthday celebrations and have just been getting home really late lately. Finally, got to take some time off to make a post! This week i actually went into Lush to view and purchase some of their products. I've actually never been into Lush before and have no idea why! I liked it wayy more than i imagined! For those who don't know, Lush makes fresh handmade cosmetics and is known for their support for charities, farms and using natural ingredients. Their natural soaps and masks are extremely popular. 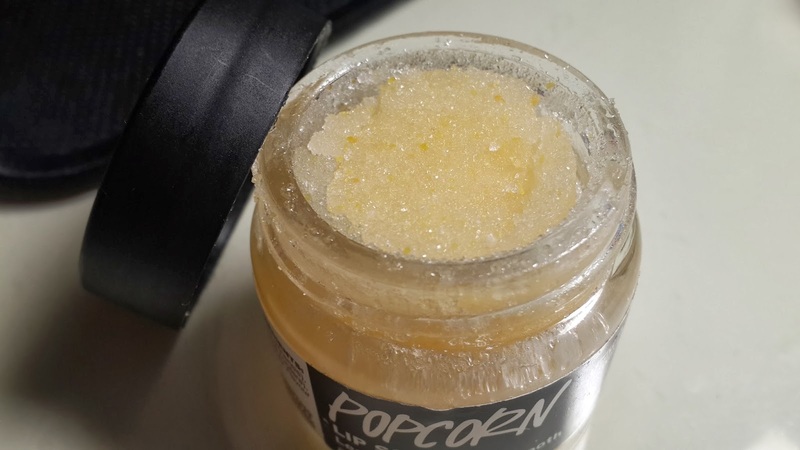 A product that caught my eye was the Lush Popcorn Lip Scrub! I use this/will use this about once a week or fortnight. My lips definitely feel soft and moisturise after. I just hate having dried skin around my lips...so icky! The packaging on lush products are adorable too! Easy directions, just scrub it all over your lips and then wash off. You can even lick off any excess too! Will i purchase again: Yessss!! And next time, i might try the bubblegum too! Heard great reviews from friends too! These just smell too good to resist! Fun product to play with, smell and just use! 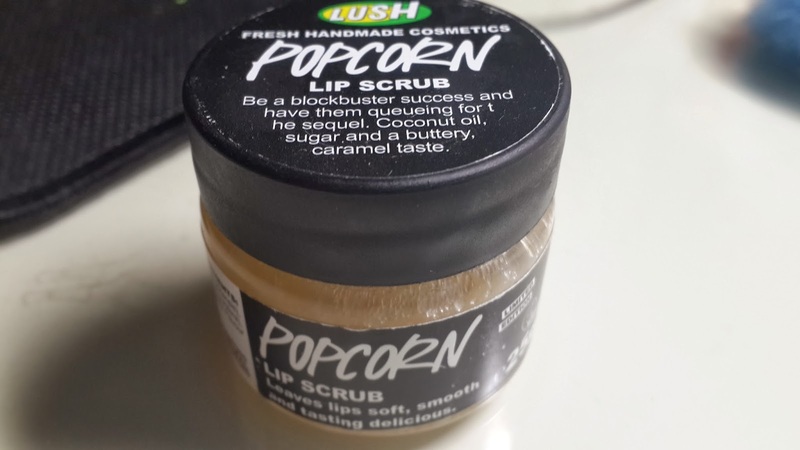 I've also been looking for lip scrubs lately, so this was just perfect. Could be a little overpriced those as it was just simple products, however, lush do create products in support of many great causes. :) So yup, i will repurchase this as soon as i finish the little tub. That saying, you only use a little amount each time - so the 25g should last you for quite awhile!